As bloggers we are always looking for different ways to show off our articles and ideas. It’s important to vary the structure of your content to continually engage readers. Simply writing news related articles will become a little stale and you can often entice your readership with opinion pieces, how to articles and so on. 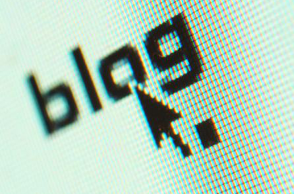 So today we thought we would put together a list of the different type of blog posts you can write. You may already be doing some of these, but consider branching out into new formats as you may find a different (higher) level of engagement from your audience. News / Breaking news – these type of articles are great if you can break a story first. In my experience you can rank No1 on Google for the topic and this will bring a large amount of organic traffic immediately. This is hard to get right but when it works you will be very happy with the results. I’ve noticed these articles also get a lot of comments as the theme and topic would be presently relevant. Opinion Pieces – this is a great alternative to factual news type articles. There may be lots of information and facts about your particular topic but sometimes the community will want to hear the authors opinion on the topic instead of more facts and figures. Of course if you can backup your opinion with facts or a case study this presents even better to your readership. Lists – List type articles have become very popular on the internet because generally the title will give the reader an intriguing call to action that entices the click. Whilst these articles generate more page views and more possibility of being shared on social networks – don’t focus your blog solely on this content as you want to offer a variety of blog formats. How to / Tutorials – These types of posts are useful in showing your audience a method or procedure to an important task. These types of articles are highly informative and will likely be socially shared more than other articles. These articles also attract repeat visitors and sustained traffic overtime. Storytelling – Sometimes it’s good to provide a real life story from your own experiences. We have all hear case studies form successful companies, but sometimes your readers want to hear an unheard tale from one persons perspective. This is when a storytelling article can click with your readers and show the ‘average person’ can have an interesting experience too. Polls – There is a lot of ‘research material’ going around the internet but what if you could conduct your own unique research? Running polls in a blog post is a great way to get new info and opinion from your readers in a very easy format. It’s very easy for a user to reply to a poll and hence you may get a large number of votes. Whereas if you asked people to describe in 50 words or less their opinion you probably won’t get many replies at all. Infographics – If you have a unique set of data instead of just typing out your findings why not put the data in a picture style infographic. These can be hard to make but generally attract a large amount of social sharing and incoming links. Some websites use infographic creation as part of their SEO strategy. Podcasts – Often referred to as audio blogging, podcasts are good when you are discussing a lengthy topic or debatable subject. This is something I haven’t tried yet but am hoping to do it soon. Video Blogging – To spice up your blog sometimes it’s a good idea to do a video blog posts instead of word posts every time. I started doing this last year and video blogging has clearly attracted a different sort of website visitors who is looking for visual content. Do you know of any other article style or format that works well for bloggers? If so please let us know in the comments below.